RealChek's mission is to assist YOU in making and keeping more of your rental housing business income; to provide a reliable source for landlords and property managers to receive and report accurate, complete information on a person's renting conduct; to put the tenant/ resident on notice that their renting conduct will become part of their permanent rental record; to provide a service that commands the tenant/resident's attention and makes paying rent and rental conduct as important to them as it is to YOU! RealChek is here for you! 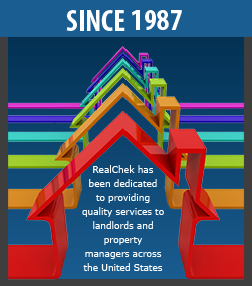 RealChek’s services continue after providing you with credit reports, eviction reports, etc. RealChek has a tenant management system that Includes welcome letters, violation notices, pre-move letters, report your tenant forms, and legal forms that identify you as a RealChek Member. RealChek, also, features a collection service. Enter the code you were provided. 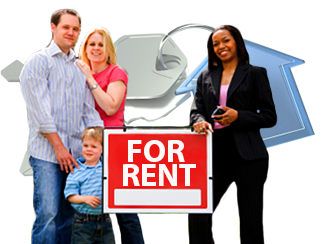 Fair Housing laws mandate that landlords/property managers give everyone the equal opportunity to rent. RealChek can protect you from claims of fair housing violations. Our unique rental scoring system allows you to accept or reject based on their numerical score. By using an objective source (RealChek) to obtain information and rate your applicant, you are assured of complying with all Fair Housing laws.